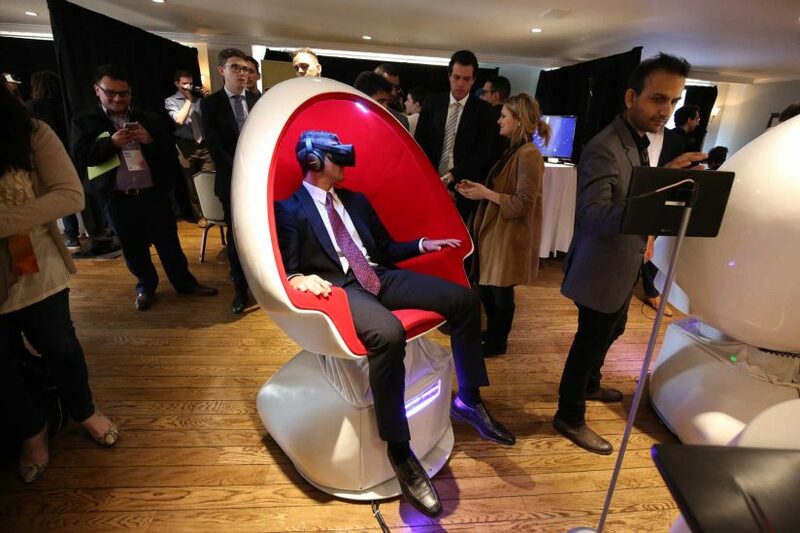 Robots, holograms, augmented reality, a crowd of enthusiasts and even Robert Iger. Disneyland? No, although for the more than 400 people in attendance, it might as well have been. These and other topics were the theme of SCALE: The Future of Tech and Entertainment, an inaugural USC event held March 23 in Santa Monica. 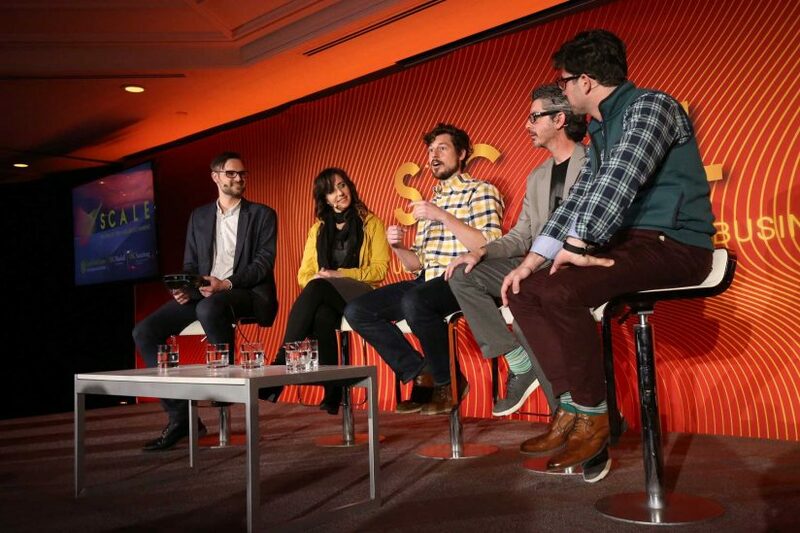 SCALE (emphasis on “SC”) was created and hosted by the Lloyd Greif Center for Entrepreneurial Studies at the USC Marshall School of Business and the USC Annenberg School for Communication and Journalism. It convened leaders from industries anchored in and vital to Southern California, such as augmented and virtual reality, artificial intelligence, digital media, gaming and e-sports. Los Angeles Mayor Eric Garcetti stopped by to talk about the importance of innovation and technology to the future of Los Angeles. Willow Bay, director of the USC Annenberg School of Journalism and incoming dean of the USC Annenberg School, interviewed Iger, chairman of CEO of The Walt Disney Co., and also Bay’s husband. Iger spoke of how technology has enhanced the Disney brand and how he has leveraged it to keep consumers focused in a fragmented market. Disney has embraced many of the new and emerging technologies that were on display at SCALE, including augmented reality. As an example, he pointed to the newest Disney theme park in Shanghai, where designers were careful to augment the user-experience, not replace it altogether. In our marketplace, you’ve got to have a foot in the future. You have to be a strategist and an operator. Technologies, he added, have both enhanced the storytelling that is key to every Disney property and increased the power of distribution. As an example, Iger pointed to the newly released live action version of Beauty and the Beast. “In one weekend, Beauty and the Beast made more box office than the original film’s entire run,” he said. Bay was successful at teasing out a few new details about the upcoming Star Wars films, including the upcoming movie on young Han Solo. The internet and Star Wars fans devoured the revelations. 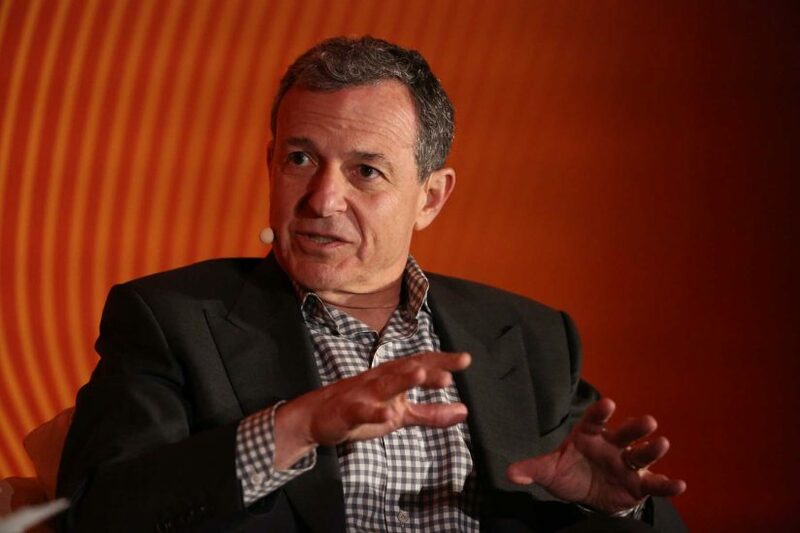 Iger also announced that he’s extending his term as Disney CEO for another year, through July 2019, to help smooth the transition to a new, yet-to-be-identified chief executive. “Succession is serious business,” he said. SCALE featured technologists who offered their viewpoints on the future of robots, holograms and more. Adam Cheyer, co-founder and architect of Siri (acquired by Apple) and Viv Labs (acquired by Samsung), opened the conference by presenting the next frontier of artificial intelligence and machine learning. Cheyer eased fears about “singularity,” when computers will meet and pass human intelligence and sentience, and foreshadowed the near future when our personal preferences for content and information will interact seamlessly with us from the time we wake up through our commute and throughout the day. 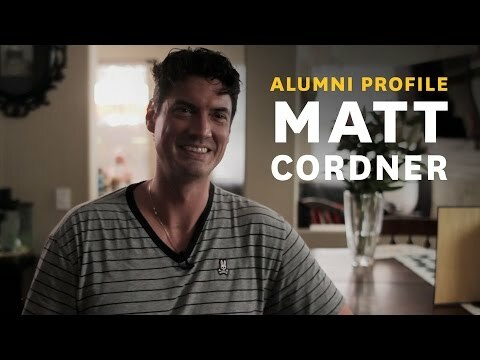 Other speakers included: USC alumnus Brandon Beck, chairman, CEO and co-founder of Riot Games; Sarah Harden, CEO of Otter Media; and Guy Primus and Academy Award winner Robert Stormberg, co-founders of the Virtual Reality Co., which enlisted Steven Spielberg as an adviser. 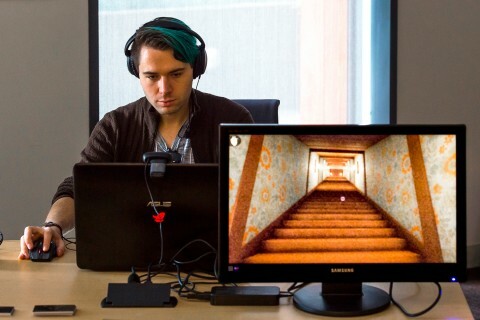 The Demo Lounge, curated by UploadVR and NextArt, featured interactive tech demos by Meta, Hanson Robotics, Hear 360, Positron and Future Lighthouse. Michael Williams of Digiworld Touring previewed technology that will re-create Michael Jackson in holographic form for an upcoming tour. The invitation-only audience was comprised of technology companies, social media platforms, studios, content creators and venture funds. 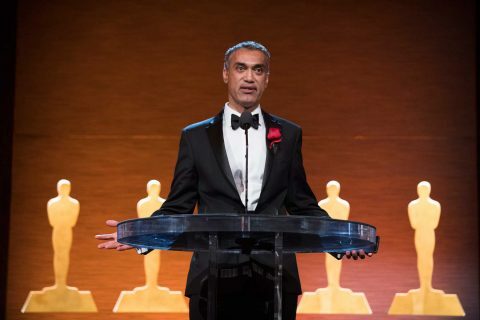 Parag Havaldar’s expertise with facial-capture technology leads to an Oscar for visual achievement at 85th Scientific and Technical Awards ceremony. Fortune 500 executives come together with potential disruptors at USC Marshall event.